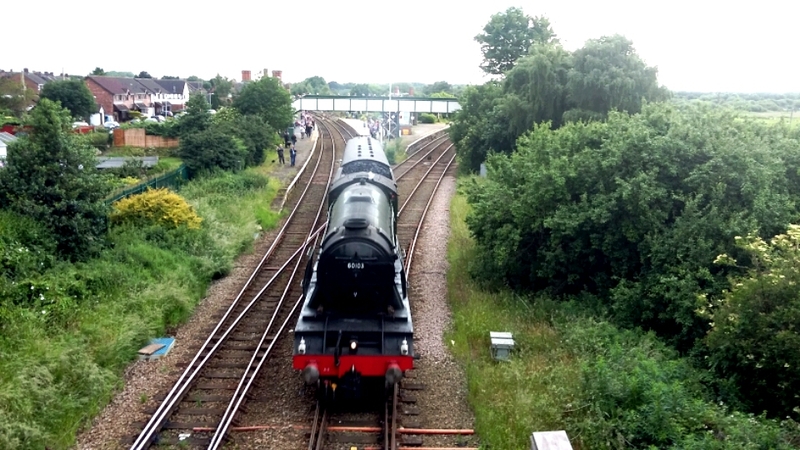 At just after 6pm on Tuesday 13th June The Triggers Broom of Steam Trains, Flying Scotsman, passed though Helsby Junction for the first time since the 1960’s. There was an incredible turn out for the loco with every bridge from Chester to Frodsham awash with people waiting to catch a glimpse of the famous loco. Both Helsby and Frodsham Stations also saw a large turn out for the return of the famous engine. Maybe the next time we see it, Scotsman will be hauling the first service round the Halton Curve in 2018. Viaduct photo courtesy of Andy Harmer. Helsby photos Ian Whitley.